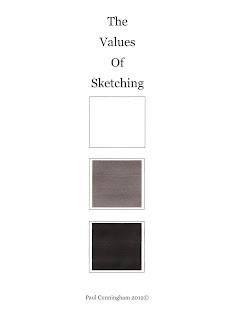 I am in the process of re-writing my instruction manual on sketching and am letting everyone know that I am ready for drawing classes...before you shout, "About time you took drawing lessons," this is to let you know that I will be teaching the craft. When Jon wasn't around to provide "private" instruction, I would spend time copying all sorts of shapes, and dogs and horses, over and over out of the Gnagy drawing lesson books...I had a whole drawing set of his at one time! When I got to college, someone at the college admissions office said, "You only have Math, English and Science classes. You need liberal arts courses!" I'm still confused. At that time, there were two “arts” classes to pick from, "Introduction to Spanish and Spanish Culture" or "Introduction to Oil Painting." Painting won out. Not that I had anything against Spanish and Spanish Culture but, after studying French for seven years, I thought I had spent enough time on learning a language that no one else around me spoke. I will wait for a moment while someone points out the merit of having thought twice about the Spanish classes! Back at the community college, I spent several years studying with Guy Corriero, a fine oil painter and instructor, and now an AWS (American Watercolor Society) member. A prolific artist, Corriero's works have been described as "the most colorful impressionistic watercolors anywhere." You can see his link here on my blog page...he continues to paint many wonderful things. I heard recently that he painted his kitchen! Under Guy's tutelage, I learned the techniques of sketching, drawing, oil painting, watercolor painting, critique in studio, not crying when he asked you what your subject matter was, and the joys of painting plein air. 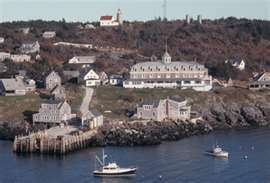 The think about sketching is that you can do it indoors or out...Monhegan Island is a favorite art retreat for me and the groups that Guy Corriero led there over 25 years. Instruction on the island focused on seascapes, the life of a sea village and, as Guy would walk all over the island to give individual instruction to the students, learning how to let him know where you were so that he didn't run around the island all day long looking for you. I've also painted plein air in Lyon, France, where I bought my first box of oil paints, while also studying French language, history and culture, and have painted in the Hudson Valley and upstate New York, and in Massachusetts and other areas of Maine. I do favor the impressionistic style of painting and am fairly adept at the skills that watercolor requires. Other studies of mine included studio classes with Sylvia Springer, a fine upstate still life and portrait artist; Lee Parks, watercolorist and instructor with the Hurleyville Artist Association; James Ziegler, classically trained oil artist; several local classes in pastel, and figure drawing with School of Woodstock instructor Jon deMartin. I've provided art instruction to individuals and groups, including art programs at Mohonk Mountain House, during “Artists Inspiration” programs, and created a very successful program for 1st graders at Kerhonkson Elementary School in the 1990's that resulted in successful watercolor training for 7-year-old students. Along with other artists, I contributed art work of my own to the school. The program developed with First Grade teacher Barbara Cesaratto brought varied art forms to the lives of young children, created an 'art gallery' in that school's library and a full scale outdoor display made of tiles created by the students, among other projects. I also produced a very successful class around Native American art processes, instructing those same groups of children on how to find materials in nature to make brushes and drawing implements and painting with natural substances, such as berries and plants extracts. Starting my career with oils, I've had many successes with the medium regarding landscapes and seascapes. 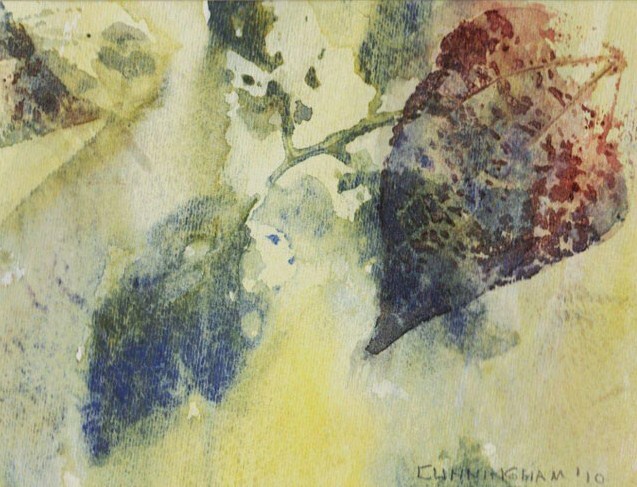 I also studied watercolor and produce an annual series of "Fall Foliage" paintings focusing on individual leaves that has proved to be very popular. My works have hung in the Omni Building in New York City and are in many private collections across the country, and I've participated in group art shows in the Mohawk Valley and Hudson Valley, and at Mohonk Mountain House, in New Paltz. So, here's the point. 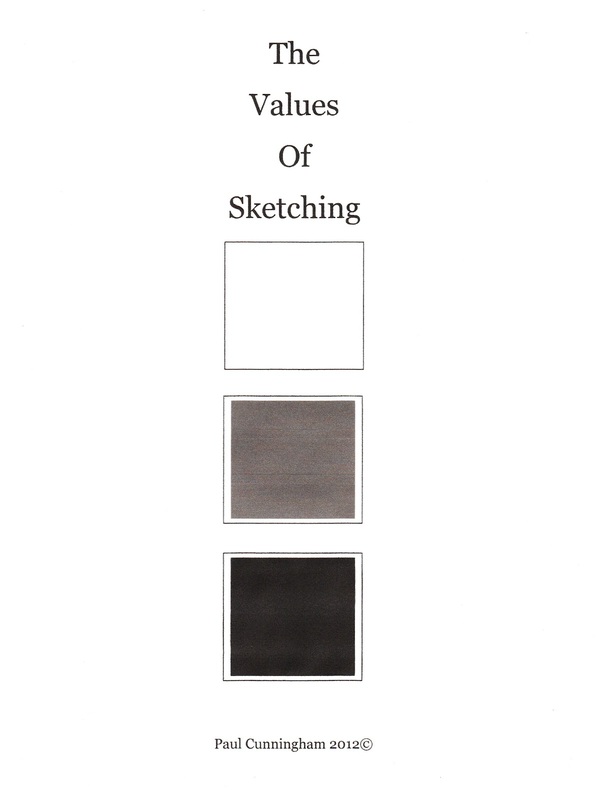 I'm about finished with the re-write of "The Values of Sketching" and will be using it as an instructional booklet for upcoming classes, for individuals or for groups. I am also trying to figure out how to "teach" sketching on line, via my blog...stay tuned for developments there. In the meantime, each drawing or painting really starts with a sketch...if you have an interest, contact me and somehow we'll figure out how I can get you sketching! Hey! I want a copy of your instruction manual! I can't draw to save my life...thank God I can spell! REALLY nice to see you blogging again - keep going!! !